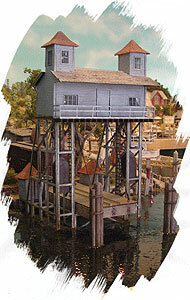 Create a detailed scene on your waterfront with this kit based on a prototype docking facility. The model features precision laser-cut wood parts and comes with complete instructions to make construction quick and easy. Copy this Raquette Lake Navigation Company to your MY ACCESSORIES roster.